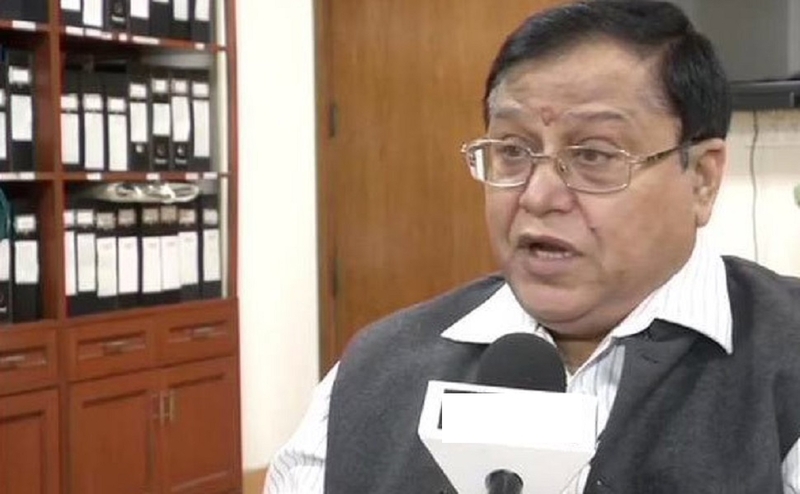 (Agencies) FORMER DRDO chief Vijay Saraswat said, “India had the capability to carry out the test in 2012-13 but there was no political clearance”. “India had the capability to carry outanti-satellitemissiletestin2012- 13 but there was no political clearance to it,” said Saraswat. Saraswatis the key scientistinthe development of the Prithvi missile anditsinductionintheIndianarmed forces.He is a recipient of the Padma Shri and Padma Bhushan from the Government of India. Former DRDO Chief Controller and Research Development, W Selvamurthy onWednesday lauded the organisation for the successful test of India’s first anti-satellite weapon - A-SAT. Chief Controller and Research Development, W Selvamurthy said India has the capability to destroy assets of other countries in space if they play any mischief. “It’sagreat accomplishment for the country. Thanks to the Central Government which supported the wholeeventaswellaswholeMission Shakti. I also congratulate the staff of DRDO. I have been a part of DRDO for 40 years,” Selvamurthy told ANI here. “So, it’s a great moment of joy and satisfaction for me as a scientist of DRDO and as a citizenofIndiathattoday we made a remarkable achievement, demonstrated the capability of an anti-satellite missile developed by DRDO. Today it was launched successfully. All the mission parameters went very accurately. The mission was perfect,” he said. “India will be join ing the Elite club of three superpowers today i.e. US, Russia and China. India will be the fourth country to join the Eliteclub... Today we have our own satellites. So, you need to prove to the countries thatwehave this capability. So, if you play any mischief then we have the capability to retaliate and destroy your assets in space. Anti-satelliteweapons or A-SAT are space weapons designed to incapacitate or destroy satellites for strategic military purposes. AlthoughnoA-SATsystem has yet been utilised in warfare, a few nations have shot down their own (defunct) satellites to demonstrate their A-SAT capabilities in a show of force. Before India successfully tested A-SAT weapon, US, Russia, and China have demonstrated this capability successfully.